|SFH| Sent From Hell :: News :: UK Counter Strike clan & multigaming. Dawn of War Clan, Company of Heroes Clan, Day of Defeat Clan, Star Wars Galaxies SWG Forums & Guild & Battlefield 2/2142. RECRUITING NOW! |SFH| Sent From Hell formed in June 2002 and are a well known and respected clan and guild in the UK gaming community. To date, over 100,000 people have played on our servers! We are made up of over 100 full and honourary members, mostly between the ages of 20 and 51. Our roots lie in Counter Strike rats maps but we have expanded into many other games. We're mostly interested in action, strategy and MMO games, though we're into other games, including casino slots. The games we have expanded into include Counter Strike : Source, Company of Heroes, Dawn of War : Winter Assault / Dark Crusade, Battlefield 2142, World of Warcraft, Age of Conan and Guild Wars. We are currently looking to recruit for our Guild Wars guild. If you are interested in joining our Guild Wars guild, please click on the link below to visit our recruitment page and apply. We are currently recruiting for GW! - CLICK HERE TO APPLY!!! Counter Strike Source Surfs Up! 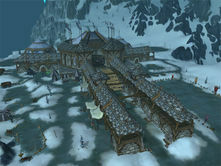 The long awaited release of the third WoW Expansion, Cataclysm (or Cata) was released today. Many shops were open at midnight on the first night to allow gamers to purchase and get playing straight away, as well as soak up the excitement. This will surely reinvigorate the game, which has seen falling numbers over the past year or so, with users getting bored or frustrated with the stagnant content. As part of the release, |SFH| will be restarting the Grace (EU-Draenor Horde) WoW guild giving everyone the opportunity to level up with like minded, mature individuals. To join grace, simply click the link below and register for an invite. We are pleased to announce that |SFH| has now merged with a very well known UK CS Source community called GOGZ (Grumpy Old Gamerz). As part of this merger, GOGZ will now be moving to |SFH| servers and forums. We also will be providing web and in game comms via Ventrilo. Details can be found in the private clan members sections of the forums. We are pleased to announce that |SFH| has now merged with two EU WoW guilds to provide resources and a community on both Draenor and Frostwhisper servers (EU). In addition, we are pleased to announce that we have merged with d2p - a highly skilled Xbox 360 GoW 2 clan, who plan to compete at the highest levels in the name of |SFH|! As part of this we will be providing web and in game comms via Ventrilo. Details can be found in the private clan members sections of the forums. With the release of the new patch 3.2 for WoW WOTLK due in the next few days, we thought we would highlight some of the biggest changes. For detailed info see the patch wiki here. 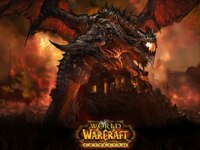 Apart from the usual rebalancing, nerfing etc on the player classes, alot of the updates seem to be focused around increasing levelling speeds (including earlier mounts / fast forms, plus quest help on the world maps), likely to make people ready for the next expansion, possibly entitled Cataclysm. New druid art for Cat Form and Bear Form has been added. There are now five unique color schemes for each form and faction. All pets now receive 40% of their master's resilience and 100% of their master's spell penetration. All new Argent Crusader daily quests and rewards have been added for players with the Crusader title. Rewards include a new Argent Crusader banner and tabard (which can port players to the tournament grounds), a mounted squire (can periodically run bank, mail or vendor errands for the player), a paladin-exclusive Argent Crusader Charger mount, and new heirloom items. Apprentice Riding (Skill 75): Can now be learned at level 20 for 4g . Mail will be sent to players who reach level 20 directing them to the riding trainer. Journeyman Riding (Skill 150): Can now be learned at level 40 for 50g . Mail will be sent to players who reach level 40 directing them back to the riding trainer. Expert Riding (Skill 225): Can now be learned at level 60 for 600g from trainers in Honor Hold or Thrallmar. Faction discounts now apply (Honor Hold for Alliance; Thrallmar for Horde). Flight speed at this skill level has been increased to 150% of run speed, up from 60%. Construction of the Crusaders' Coliseum is complete including new 10 and 25 man instances and lots of new quests in the Argent Tournament area. In order to allow for parties and raids to progress through instances at their own pace, players can now extend a dungeon or raid ID on an individual basis. Existing or recently expired IDs can be extended via the Social tab under Raid by clicking on Raid Info. The ID of any instance to which a player is saved can be extended. Doing so will extend the lockout period by the same amount of time as the original lockout and an ID can be extended more than once. Looting: Players will now be able to trade soulbound items with other raid or group members that were eligible for the loot. This system will work like the Item Buy Back system and allow 2 hours for players to trade an item after it has been looted. 25-player raids will no longer be referred to as Heroic versions of a raid, as there is a new distinction between normal and Heroic modes for both 10 and 25 player versions of the Crusaders’ Coliseum. - Both the 10 and 25 player instances of the Crusaders' Coliseum drop a new [Emblem of Triumph]. - Any dungeons that previously dropped [Emblems of Heroism] or [Emblem of Valor], such as Naxx or Heroic HoS, will now drop [Emblems of Conquest] instead. Emblems of Conquest can still be converted to Valor or Heroism. - The heroic dungeon daily quest will now reward 2 Emblems of Triumph and the normal daily dungeon quest will reward 1 Emblem of Triumph. - The existing achievements to collect 1, 25, 50, etc. Emblems of Heroism, Valor, and Conquest have been converted to Feats of Strength since Heroism and Valor Emblems are no longer attainable. - New achievements have been added to collect various amounts of any combination of emblems. Players will now be awarded experience for completing objectives and actions that yield honor in Battlegrounds (hks not included). Players who do not wish to gain experience through PvP can visit Behsten in Stormwind or Slahtz in Orgrimmar and turn off all experience accumulation for the cost of 10 gold. Disabling experience gains will prevent a player from gaining experience through any means available in the game. Quest creatures and objects will now show on the player’s world map. - A skull graphic where players can find creatures they must kill for a quest. - A skull graphic where creatures can be found that must be killed in order to collect quest objects. - A gear/cogwheel where players must loot quest objects found in the world. - A chat bubble graphic where players must interact with a specific NPC for a quest. - A yellow question mark graphic to provide the location of a NPC whose quest the player has completed. It has been a quiet year for |SFH| but moving into 2009 we hope to revive the old clan spirit (which by looking at the forums regularly, you can see is still strong), and become much more active over the coming months. We also celebrated our 6th birthday in 2008 and none of it would have been possible without the support of everyone involved. I hope that if everyone can continue with the same enthusiasm for the clan in the months and years the to come, then |SFH| will continue to be a force to reckon with! Finally, from everyone here at |SFH|, heres wishing you all great Xmas and a Happy New Year !! !